You can also see what colleagues are saying about our programs, and learn about our ongoing consultation groups. We offer 3-hour workshops on a variety of important topics in couples therapy. Our workshops are from 9:45 am to 1 pm and give 3 CE hours. These are Category IV hours for psychologists, Core hours for counselors and marriage and family therapists, Related hours for social workers. The Woodsfellow Institute for Couples Therapy is approved by the American Psychological Association as a provider of continuing education for psychologists. The Woodsfellow Institute for Couples Therapy retains responsibility for these programs and their content. Each of our workshops is also be approved by the National Association of Social Workers, the Licensed Professional Counselor Association of Georgia, and the Georgia Association of Marriage and Family Therapists. The earlier you register, the greater your discount. The greatest discounts are two months before each workshop. There is still a discount until one month before each workshop. Check each workshop for the exact dates. Cancellation Policy: If you register for a workshop and cannot attend that workshop – for any reason – we will be glad to apply your payment to any future workshop we offer. This applies whenever you cancel; there is no deadline. However, refunds are not available. So many people come to us hoping we can save their marriage. They’re usually stuck in some very hurtful negative cycle that they can’t stop, no matter how hard they try. We call that their Fear Cycle. It's a far cry from the Love Cycle that began their relationship. The task of therapy is to change their fear cycle back to their love cycle. This workshop offers a highly efficient, user-friendly model to guide us in understanding, and changing, these cycles. We help couples find the four unique key words that describe their fear cycle. Each person has two words, one for their worst feeling, and one for their worst reaction. When they can name their fear cycle with these four words, they know what they need to change. Helping couples change these cycles is the essence of couples therapy, and one of the most important common factors in all successful couples therapy. This workshop is designed for couples therapists and individual therapists. You might also want to bring your life-partner with you to this workshop. You might want your partner to learn this model too – so you both can apply these principles to your own relationship. In time, every couple finds their own fear cycle – the worst possible combination of their two issues. In these fear cycles, things worsen quickly. Each person threatens the other. Again and again and again. This feedback loop leaves both people feeling frustrated and hurt, with issues unresolved and at an impasse. So he gets angry in protest. So Jack feels more abandoned. So Jill feels more fear. Their four words are Abandoned, Angry, Fear, and Withdraw. Understanding these words is essential to interrupting their fear cycle, changing it back to a love cycle, and saving their marriage. In this workshop, we'll teach you how to do this. Narcissists can be difficult therapy clients. They can be hard to motivate. Their insight may be low. They may not understand their impact on others. They may have a defect of empathy. Grandiose and entitled clients can be even more difficult. Entitlement and grandiosity are not endearing traits. They may see themselves as better than others, or deserving special treatment. They may see many problems in their partners, few problems in themselves. They may not recognize how they abuse and neglect those close to them. Usually, narcissistic, grandiose, entitled people don't seek therapy. They don't feel they need it. They usually feel good, not bad. They may even look down on the whole idea of getting help, and feel condescending toward those who need it - like their spouse. And, of course, that's who drags them into therapy – usually on the threat of divorce. It's a difficult way to start treatment. Usually their spouse is hoping that we can help them get their narcissistic partner to change. They usually want their spouse to be warmer, kinder, more loving, more compassionate, and more understanding - and less neglectful and abusive. Often we therapists support these goals. This workshop presents Terry Real’s new method, Relationship Empowerment, which strengthens the one-down partner and (amazingly often) motivates the narcissistic, entitled, grandiose, one-up partner. In my 25 years of doing therapy, I've learned and used many different methods of couples therapy. This Relationship Empowerment method succeeds with narcissism, entitlement and grandiosity more than any other I’ve tried. Much more. Affairs are usually excruciating for one party, exhilarating then guilt-producing for the other. Clients’ affairs can be excruciating and guilt-producing for the therapist too. We shouldn't tell clients what to do. Or should we? We should help them take time to explore their options, and the consequences of their decisions. Or shouldn't we? Those are big issues in all therapy. But in couples therapy it's a lot hotter than in individual therapy. It’s hotter because the person who is being hurt by that indecision is sitting right in front of you. In individual therapy a person could take years deciding whether to end an affair. In couples therapy, that decision phase is more intense, but much briefer. In couples therapy, the decision happens in weeks, not years. The working-through phase is where we spend most of our time. This phase is when important character change can happen. People change by sharing their pain, their wounded-ness, and their fear. People change by sharing their compassion, remorse, and regret. Sincere, heart-felt understanding and apology can lead to healing. Couples therapy can be the crucible for this emotional honesty and re-connection. When this happens, intimacy and love are reborn. Sometimes this works well, sometimes it doesn't. Our part is to do everything we can to promote this positive working-through. This training will show you how. Based on a blend of Hendrix, Gottman, Real, and Johnson's, I've evolved a method of working with affairs that is straightforward and powerful. It's respectful but no-nonsense. It involves choices and open-hearted sharing. Some parts are very easy. For instance, when you get them talking to each other, you don't usually need mirroring. Plain honest, respectful sharing seems to work just fine. Some parts are not so easy -- like when someone doesn't want to end their affair. At those times, Terry Real's relationship empowerment approach is what gives the best chance for a good outcome. Empowering the betrayed spouse to speak their truth respectfully can be difficult, but it's the crucial first step. Joining with the unfaithful spouse can be difficult, but it's also crucial. The success or failure of these two steps is often the success or failure of the therapy. In this workshop, I'll teach you my method of working with affairs. I think you'll find it helpful. Anger and verbal abuse are serious problems in a relationship. Just like physical abuse needs to stop right away, verbal abuse also needs to stop right away. The therapeutic problem is how to do that. Often, angry verbal abusers don't even think they've got a problem. Often they feel their anger is justified, and they see the fault and problem in their partner, not themselves. So it's the partner who needs to change, not them. Angry blamers like this are hard to change. Entitled, narcissistic grandiose people are hard to change. Abusers are hard to change. But we've got to try. Often spouses bring these angry verbal abusers into treatment hoping and praying that we can help them get the abuse to stop. But how? That's what this workshop is all about. Using a new model, Relationship Life Therapy, you will see a way of conceptualizing abuse in terms of boundaries and self-esteem. Then you will see an intervention of empowering the victimized spouse and creating powerful motivation for the angry abuser to change their ways. Of course, this doesn't work for every couple. But in my 25 years of doing therapy, this approach succeeds dramatically more than any other model I've seen. The beginning of couples therapy is especially challenging. We need to establish rapport with two people at the same time. We need to hear and understand each one, but not let them wound the other. We need to calm their intensity, soften their blaming, and frustrate their wanting-to-get-us-on-their-side. We need to give them a positive therapy experience and instill hope. We need to motivate them to continue. We need to explain our policies, get informed consent, and make a next appointment. Doing all this feels impossible. Because it is. Luckily, there is a better way to start couples therapy. I learned it from Dr. John Gottman, modified it, and have used it with more than 500 couples. I’ll be glad to teach you how to do it. The first three sessions are a couples assessment, before we even start couples therapy. What a difference that makes! It works so much better. It’s so much more do-able. You’ll be amazed at what at the change it makes in your practice. Imago Therapy is a wonderful approach for working with couples. When I first studied with Harville Hendrix in 1991, it revolutionized my practice. 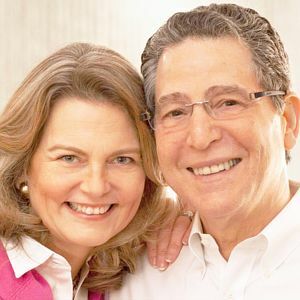 Harville taught me the biggest benefit of working with couples: that the partner is the most-important healer. Imago therapy also gave me a unifying theory for understanding couples dynamics. He explained how every couple's power struggle is the replay of each person's unfinished business from their childhood. That was so helpful for thinking about my couples. Imago also gave me a complete methodology for doing couples therapy. There were seven interventions to use. Each involved the couple talking to each other with me in the role of communications coach. It felt wonderful to take this new role, and it felt wonderful to have an array of interventions to call upon. But my practice has taken me beyond Imago Therapy – and that's what this workshop is all about. We'll cover the best parts of Imago, but also some of the things that are missing in Imago. The two biggest missing pieces are (1) doing assessment and (2) dealing with abuse. Each of these require going beyond the role of communications coach. Regarding assessment, I learned from John Gottman that an in-depth formal assessment is an excellent way to start couples therapy. It lets me establish a somewhat objective prognosis for each couple, clarify the particular treatment goals for each couple, and also highlight any pre-conditions (Hendrix would call them "exits") that must be addressed before therapy can proceed. Having done assessments with over 900 couples, I've modified some of Gottman's details, but I definitely use his overall structure. Regarding blatant abuse – especially affairs, addictions, and emotional abuse – I've learned from Terry Real how to use the intervention called "joining-through-the-truth" to clarify the choices people need to make - and the consequences of those choices. This intervention is substantially different from communications coaching. It is a much more direct approach to the problems of abusive power, dominance, and disrespect. In couples therapy, of course, we've got two clients, not one. They can each want us to take their side. They can have different "best interests." They can have secrets from one another. They can disagree very intensely. They can hurt one another very deeply. In couples therapy, we have to interrupt their negative cycles much more than in individual therapy. This is why couples therapy is so difficult. It's why we have special sections of our Ethics Codes on couples therapy. And why we need to be careful when we apply the Ethics Codes that were written for individual therapy. Yes, all those individual codes apply to couples therapy, but they need to be applied in a different context. Confidentiality, for instance, is more complicated when there are two clients. It's important to learn the circumstances where couples therapy ethics differ from individual therapy ethics. We need to think about these situations ahead of time to prepare for them -- and make better decisions when these situations occur. In this workshop, our four topics will be: (1) boundaries and loyalty; (2) confidentiality and secrets; (3) couples problems versus individual problems; and (4) integrity and competence. We will consider how each of these ethical issues has a special application in couples therapy.